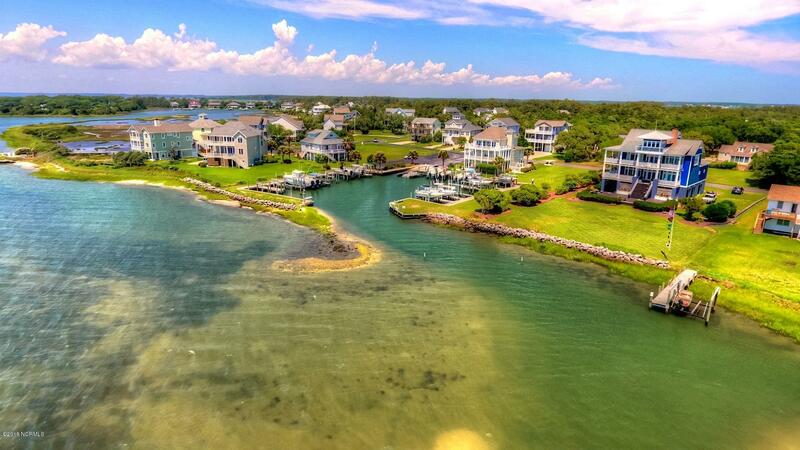 UNTOUCHED BY THE HURRICANE, HARKERS ISLAND FINEST IN THE PRESTIGIOUS HARKERS VILLAGE! 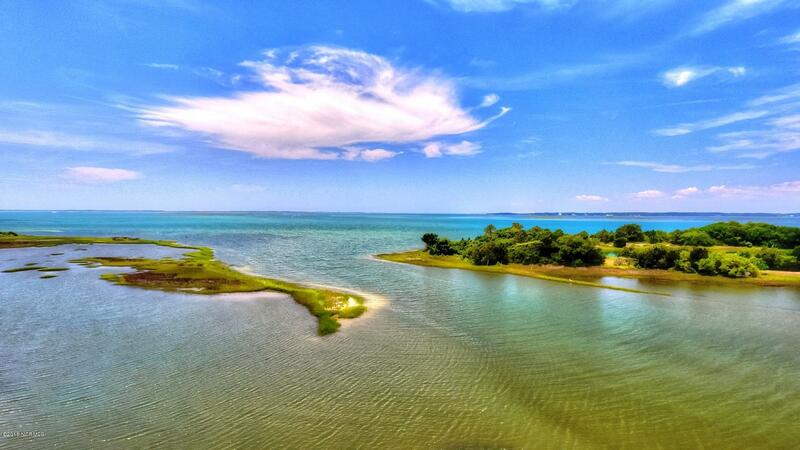 Harkers Island is an island nestled behind 56 miles of Cape Lookout National Seashore! 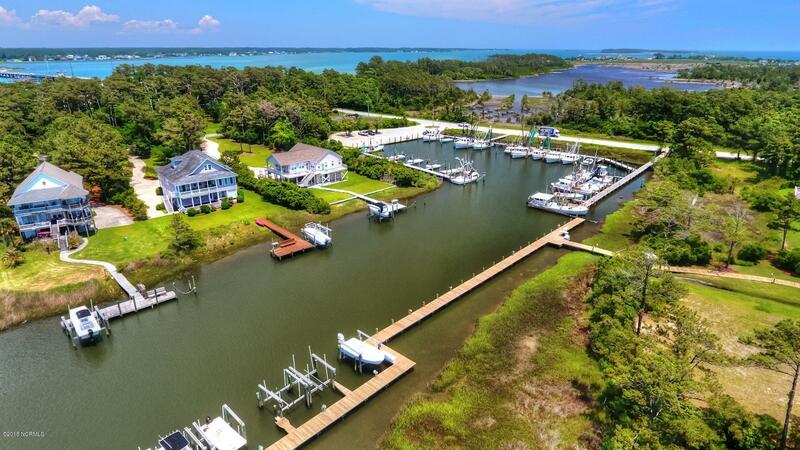 It has direct access to the uninhabited barrier islands and the pristine beaches of Core Banks and Shackleford Banks. 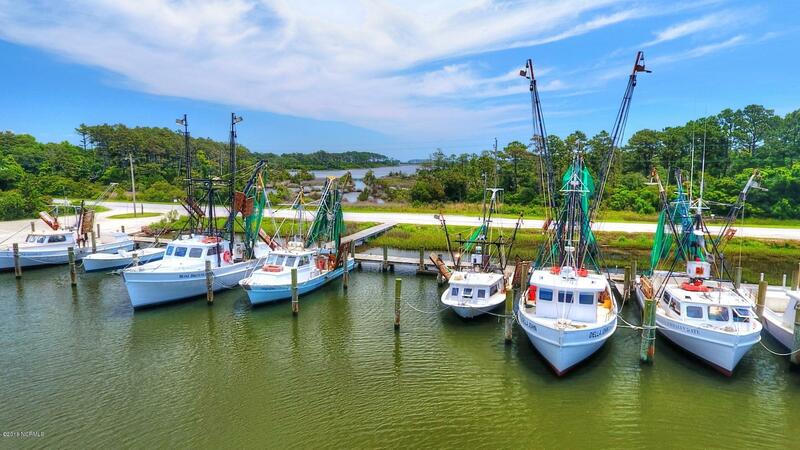 From there you can enjoy crystal clear waters, the Cape Lookout Lighthouse, wild ponies, as well as access to the Atlantic Ocean through several inlets. 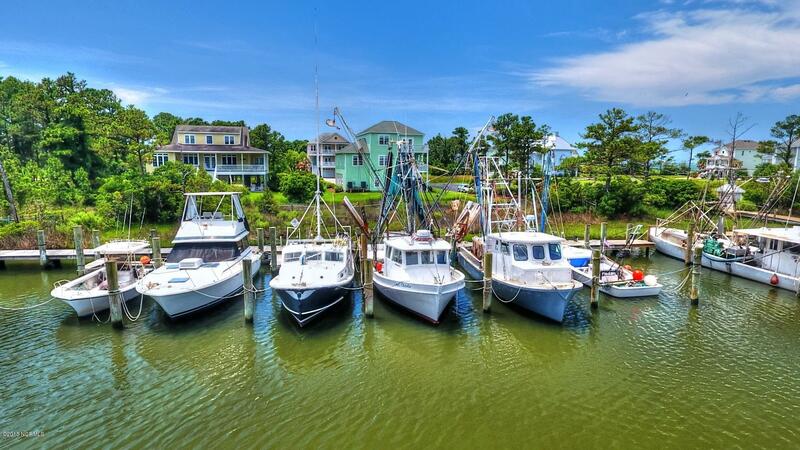 Harkers Island is a great mix of coastal beauty and natural amenities rarely found anywhere. 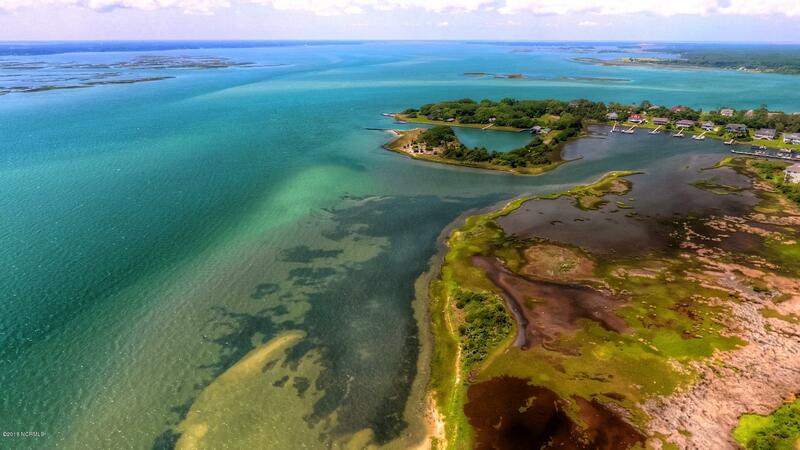 This is the place that dreams are made of! 105 Pintail Ln. 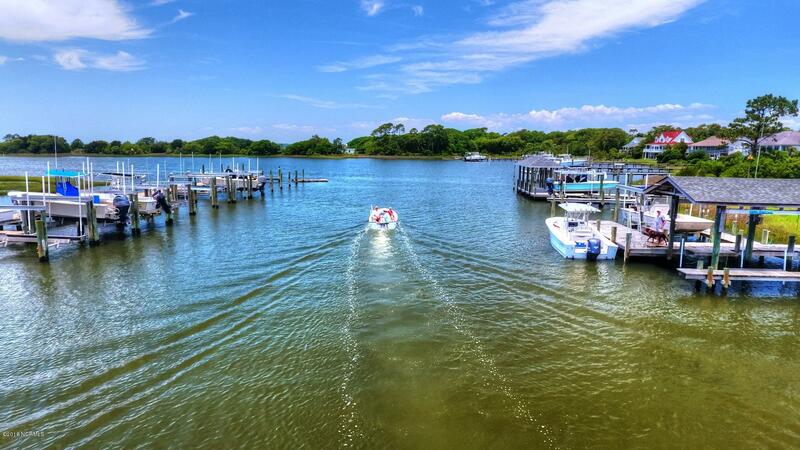 is located in the prestigious Harkers Village on Harkers Island. 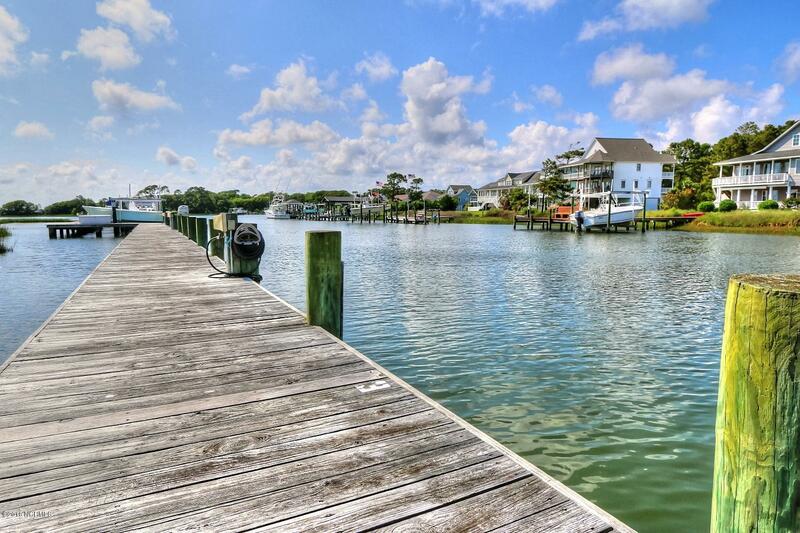 The subdivision has its own private swimming pool, boat launch, and marina. 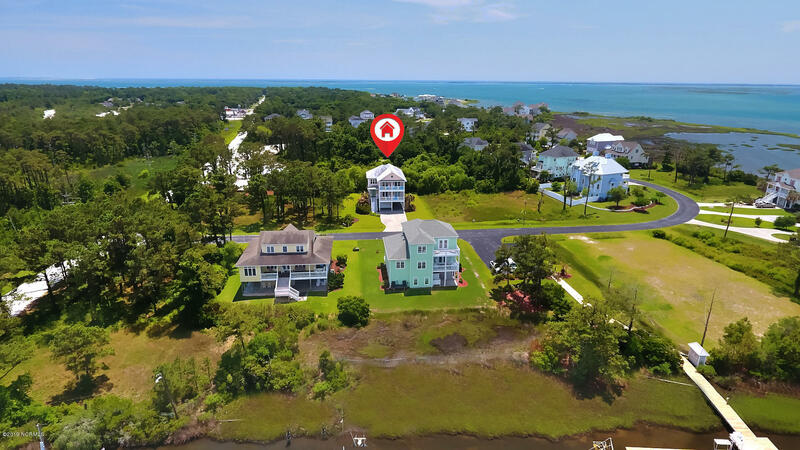 105 Pintail Ln. 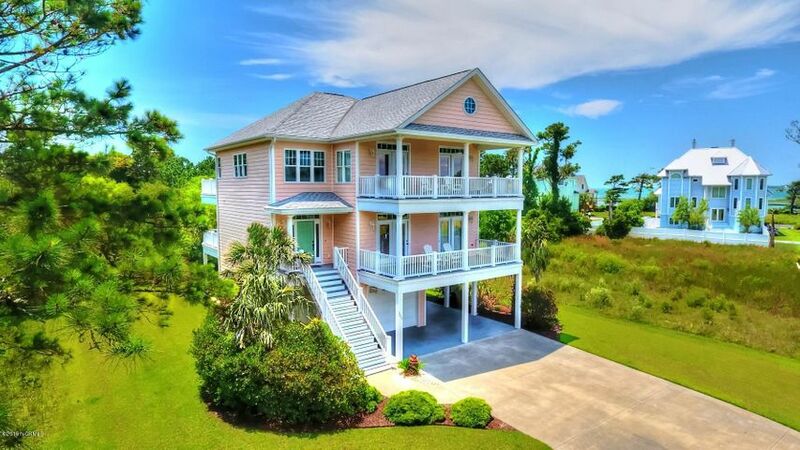 is a 4 bedroom, 3 full bathrooms and 2 half bathroom home. It is of superior construction built with quality materials, unmatched craftsmanship and over 3700 sqft of elegance & comfort. You will recognize its quality the moment you walk in. 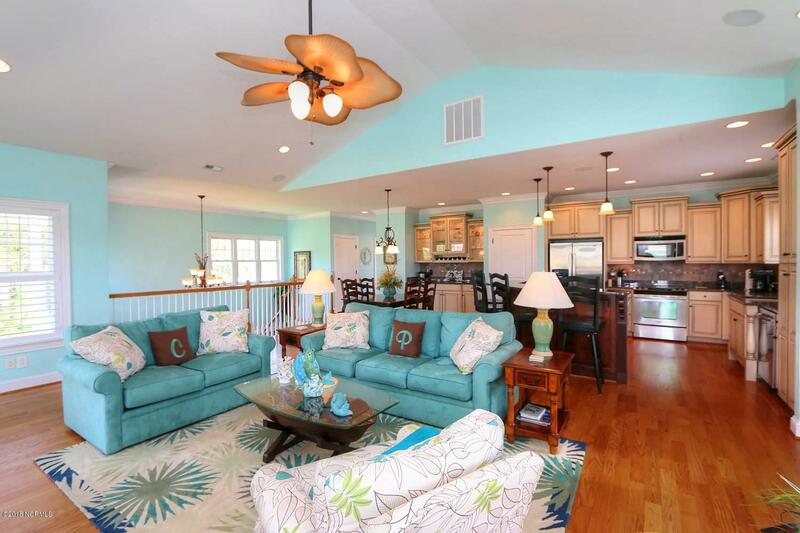 It has many custom features such as 9 foot ceilings. 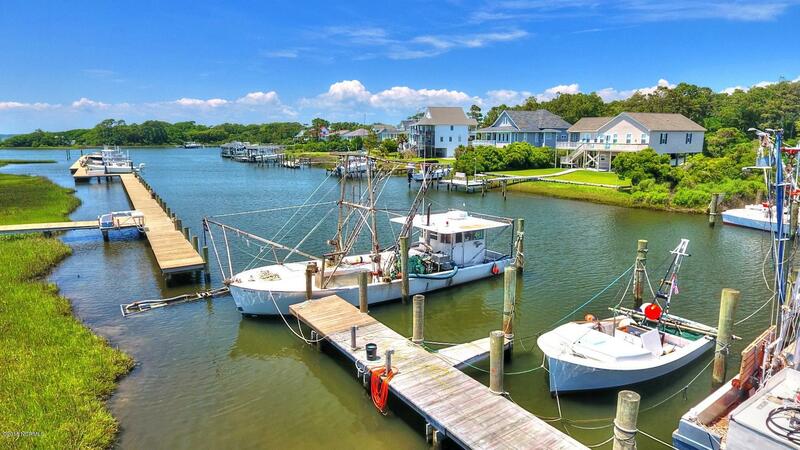 It comes complete with its own boat slip (number 3) on deep water. 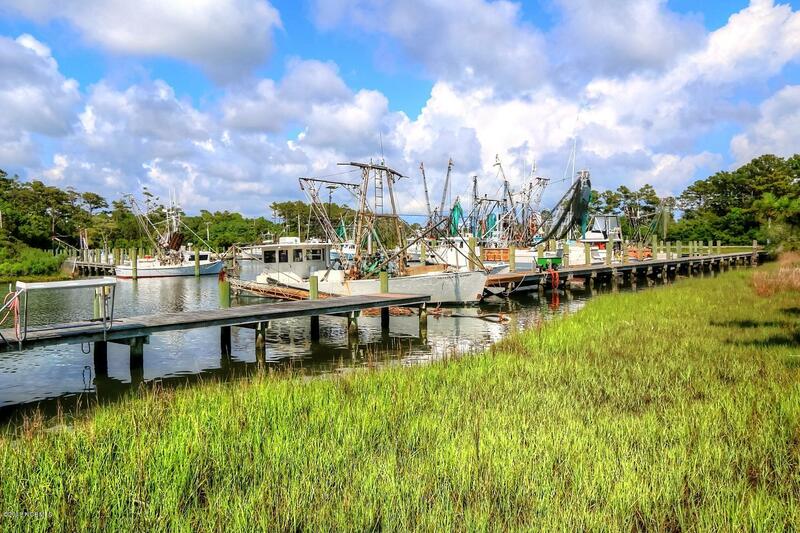 The slip is suitable for boats up to 30 feet in length with water depths in the marina and canal at 8 feet during low tide. The driveway to 105 Pintail Ln. is extra wide at the street making backing up your boat or camper so much easier. 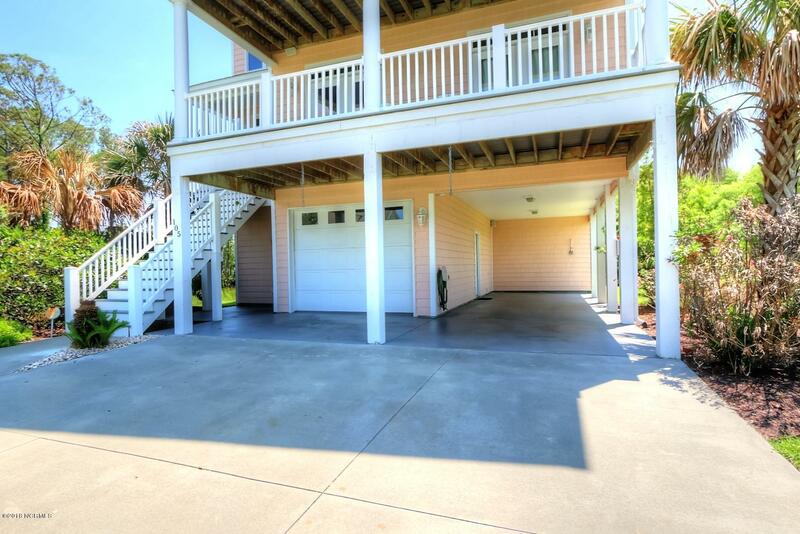 The driveway leads to the 2 car carport and the 1 car garage. 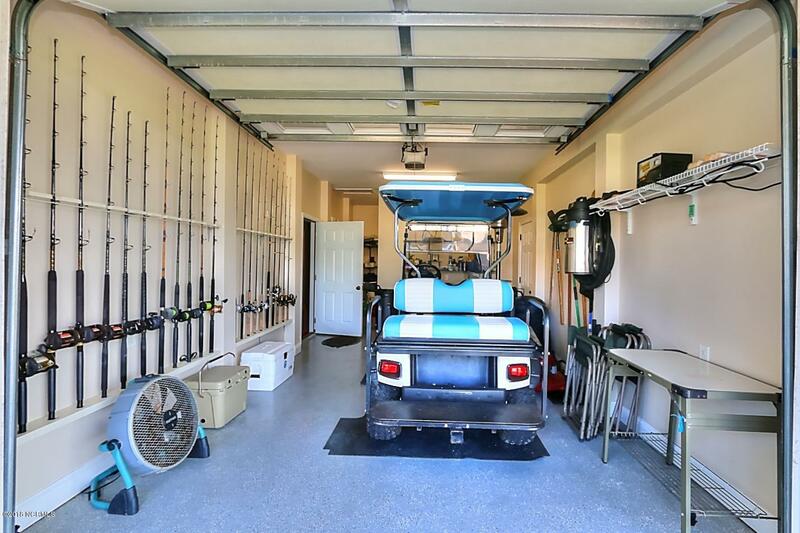 Inside the first level of 105 Pintail Ln. 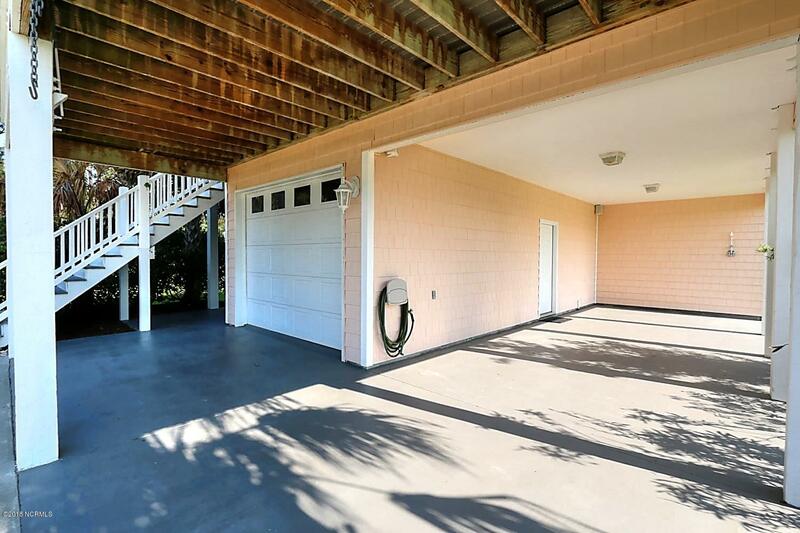 is the foyer and access to the garage. 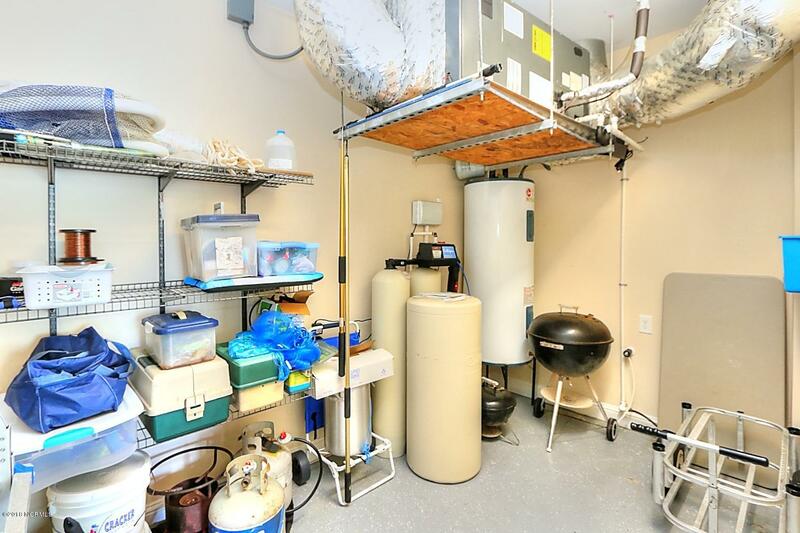 There is a mechanical & storage room on the backside of the garage. 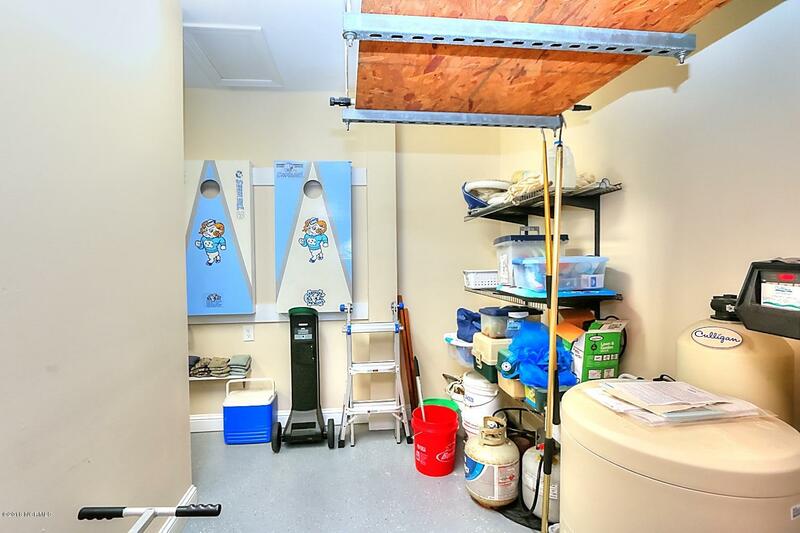 Across the hallway is a storage room, the elevator, and an open storage area. 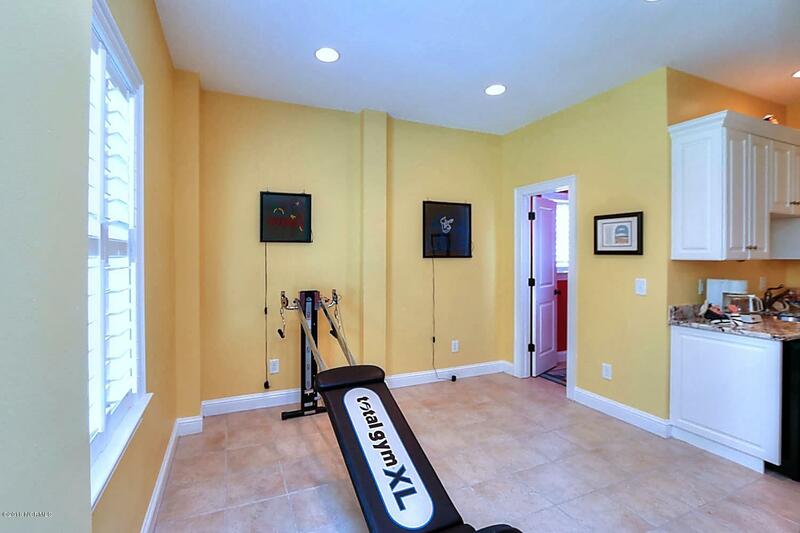 The entire back side of the first level is dedicated to the entertainment room/large studio. Some call it a mother-in-law apartment. 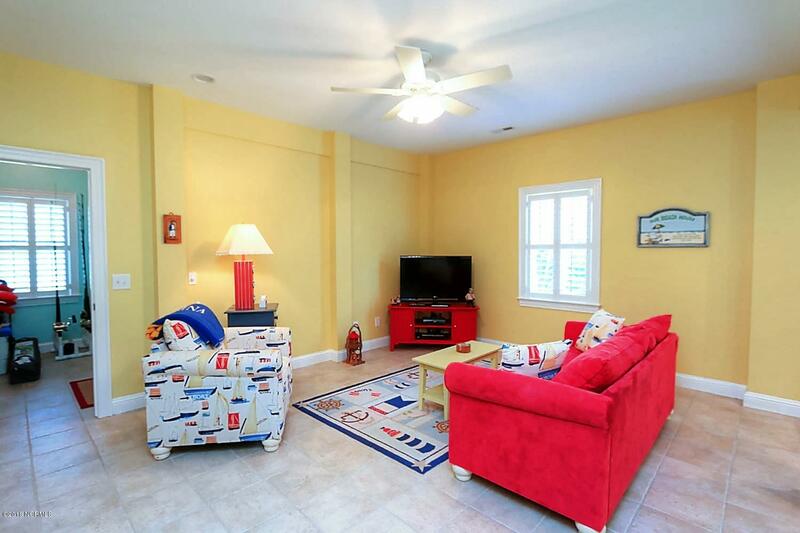 This spacious area has tiled floors, a kitchenette with refrigerator and a half bathroom. 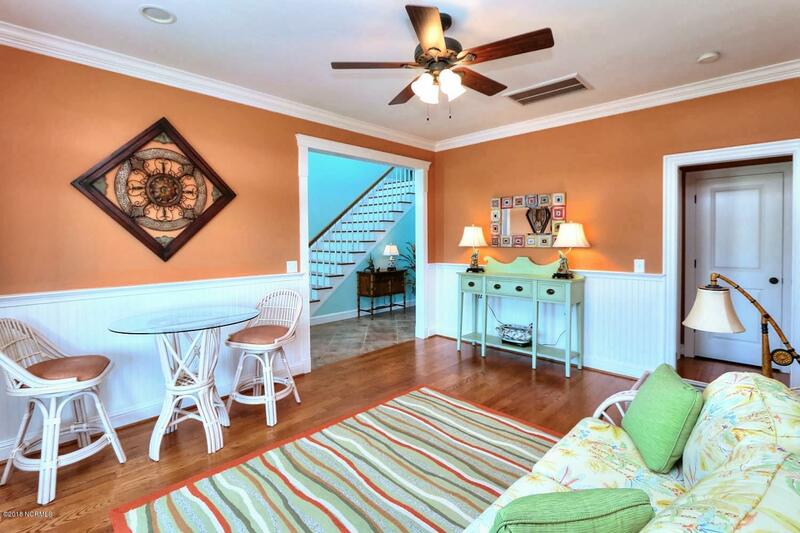 The end of the first-floor hallway takes you to the back porch, shaded by the second story back deck overhead. 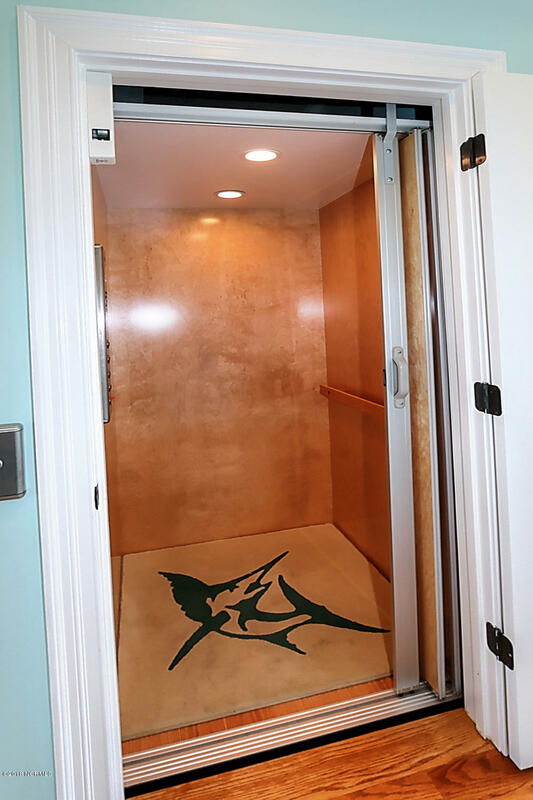 Whether you access the second floor via the staircase or the elevator, it will become obvious rather quickly that space and abundance of natural light prevails. 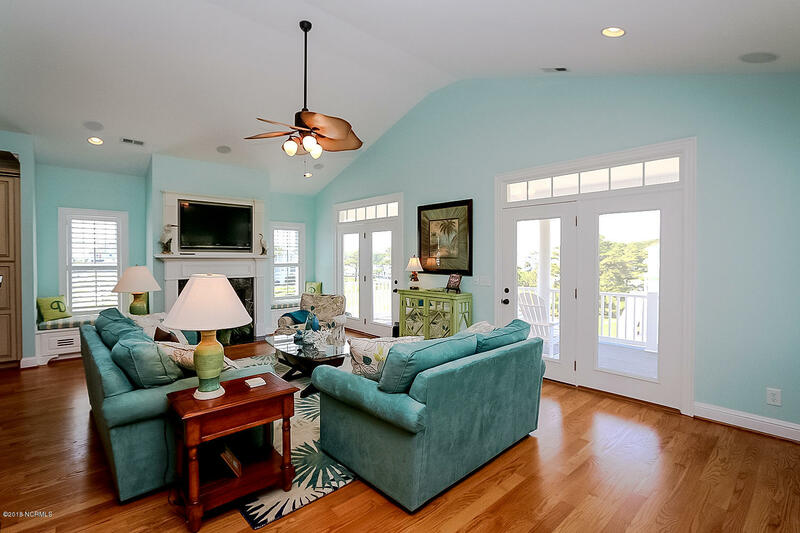 A main feature of the second floor is the large family room and double glass doors that lead to the spacious deck. 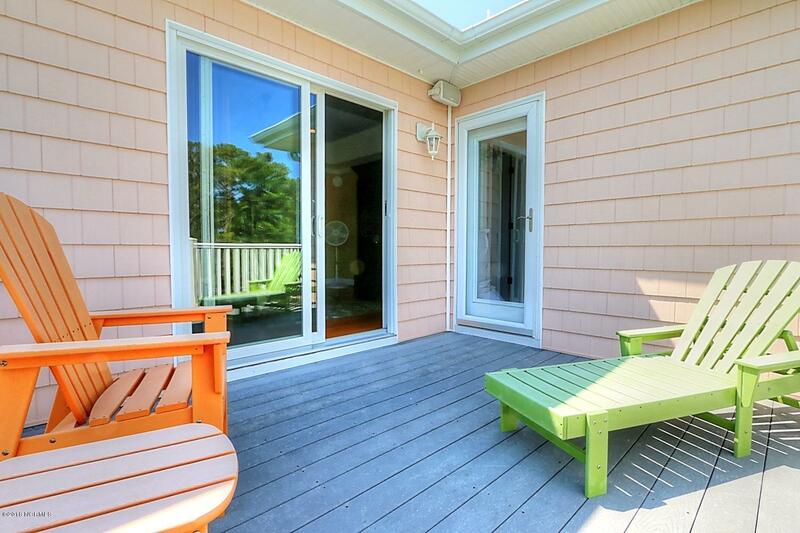 This deck and the one of above is facing north and overlooks the Brook Marina. 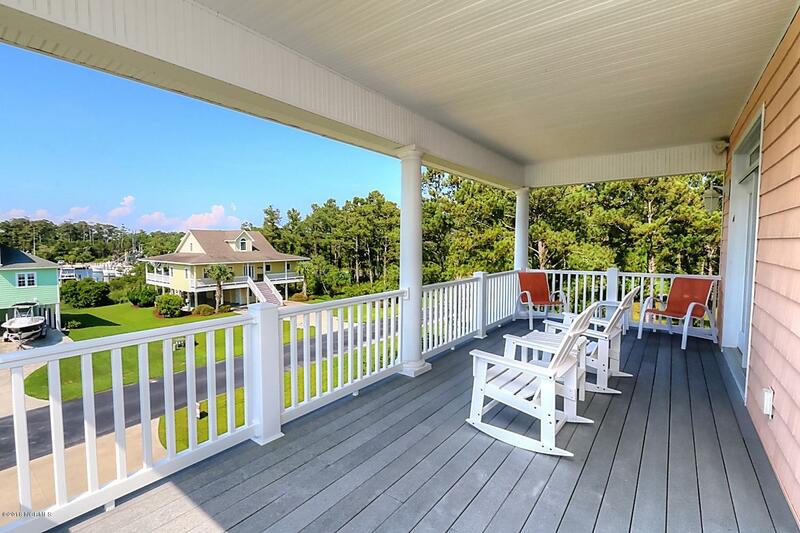 As you’ll soon discover, there are outdoor decks in front and back of the house on every level. 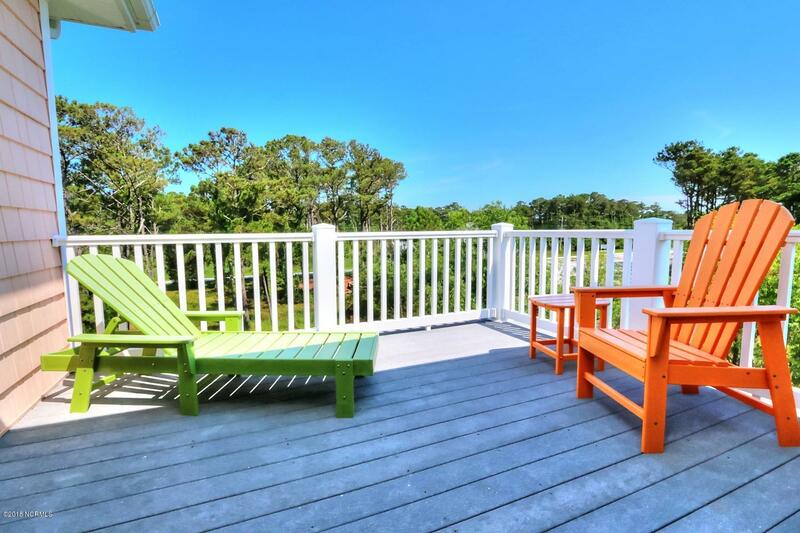 These decks are made with Trex products and offer superior durability and performance that you can’t get from wood. 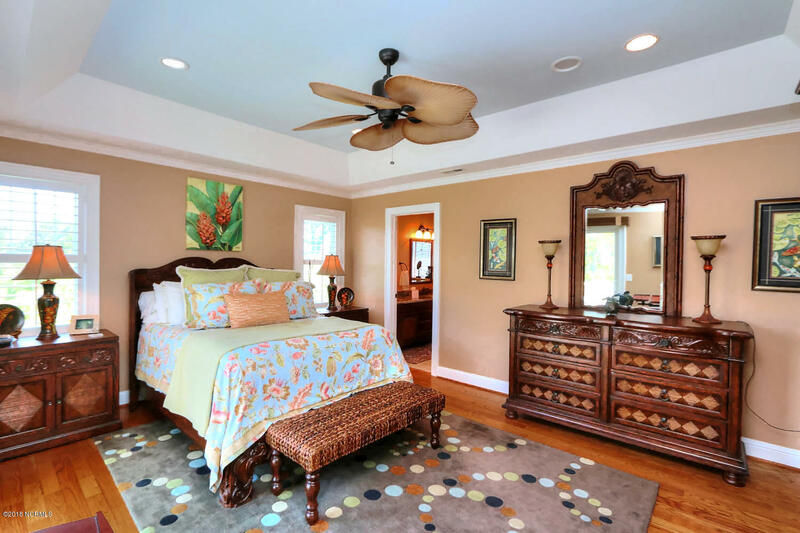 The second floor has 3 bedrooms, one of which is a master bedroom suite. The 2 bedrooms have large closets and share a full bathroom with double sink vanity with granite countertops and toilet with privacy wall. 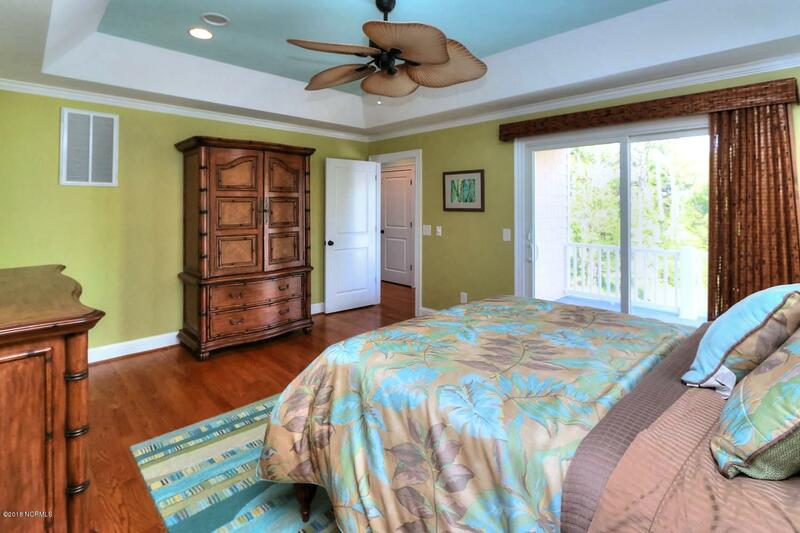 The Master bedroom suite has trey ceilings and a very large walk-in closet. 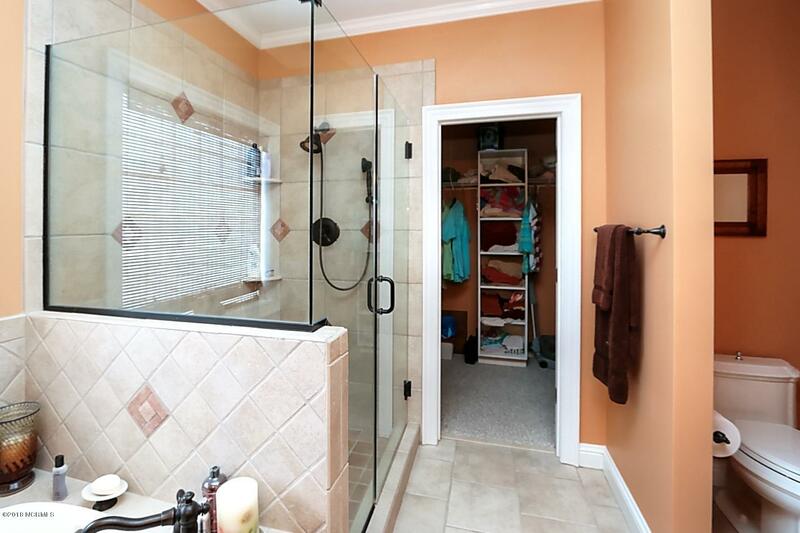 The master bathroom is roomy with tiled floors, granite counter tops, shower, and separate soaking tub. The toilet area has a privacy wall. 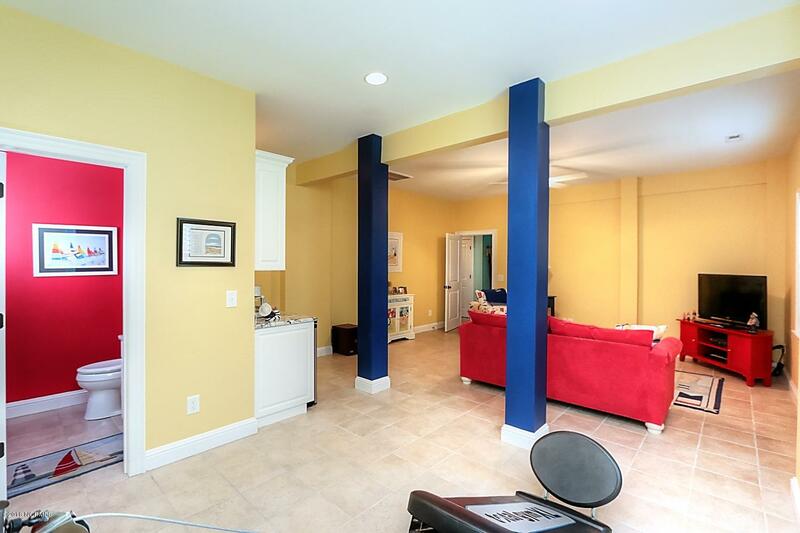 Across the hallway is storage, elevator and a tucked away nook, perfect for a computer workstation. 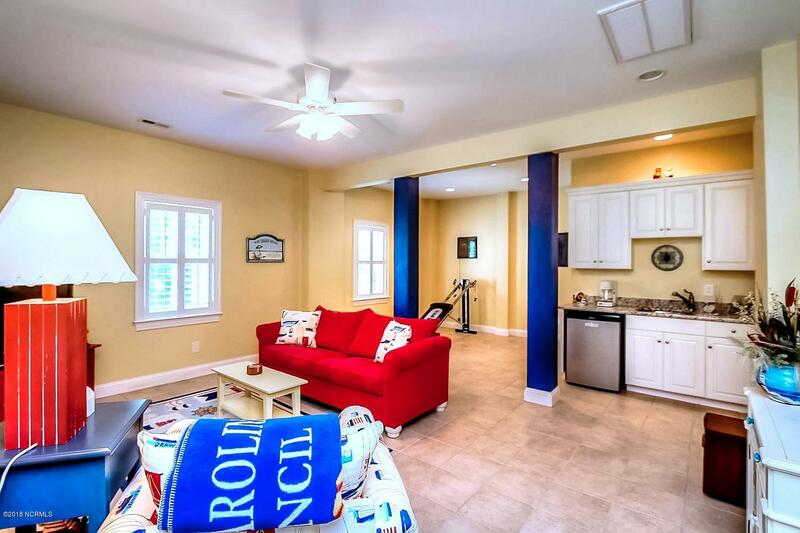 The laundry room is conveniently located on the second floor between the master suite and 2 bedrooms. 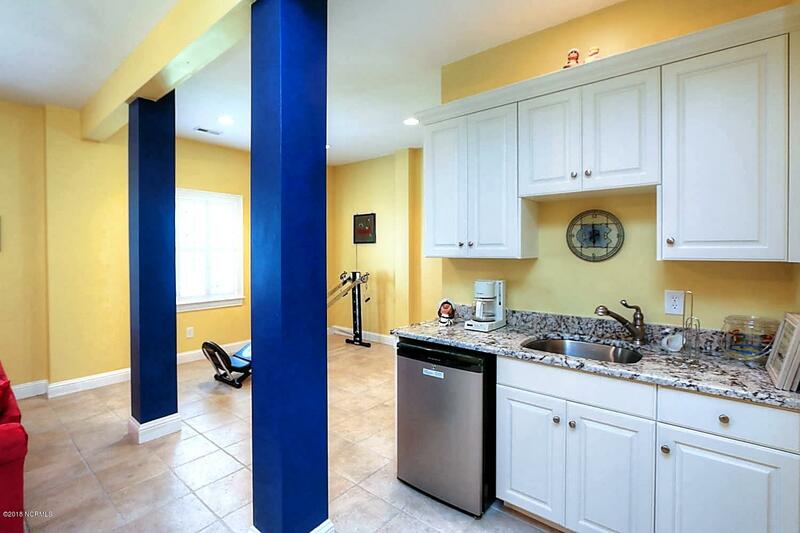 It too has granite counter tops and tiled marble flooring. 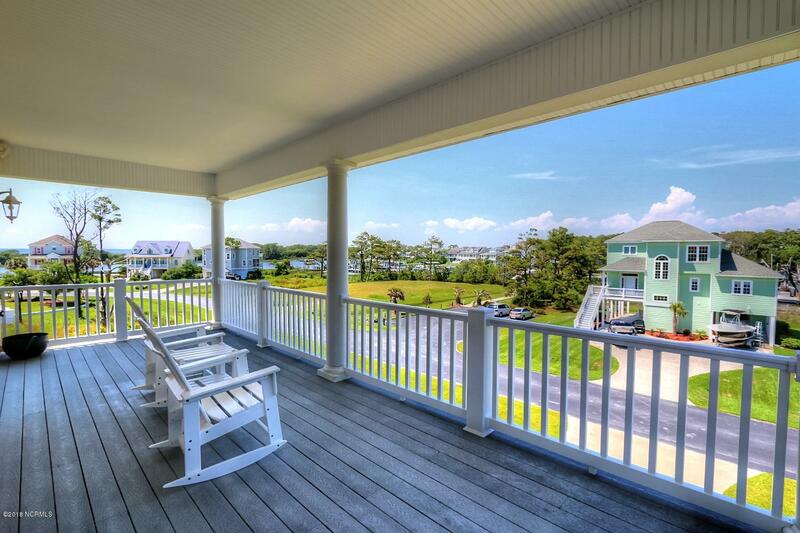 Access to the second floor back deck is at the end of the hallway. The third and top floor is where you’ll find the kitchen. 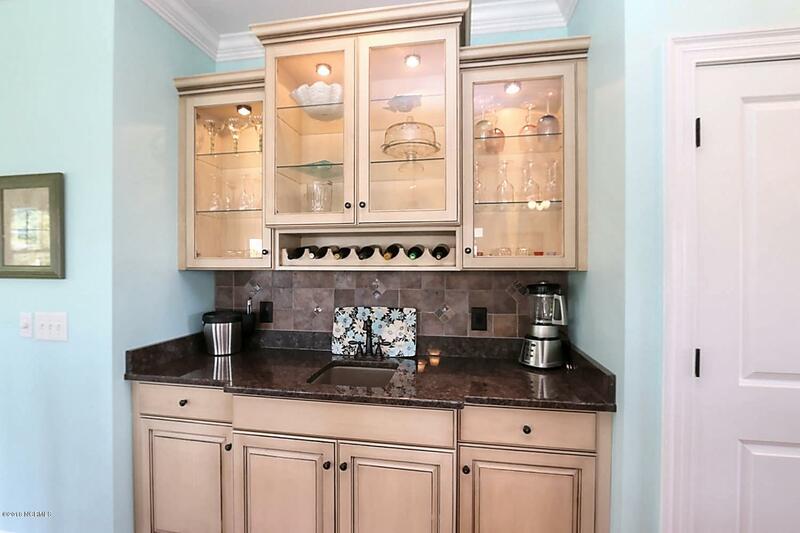 It is substantial and comes with ¾ inch nailed redwood floors and granite countertops. 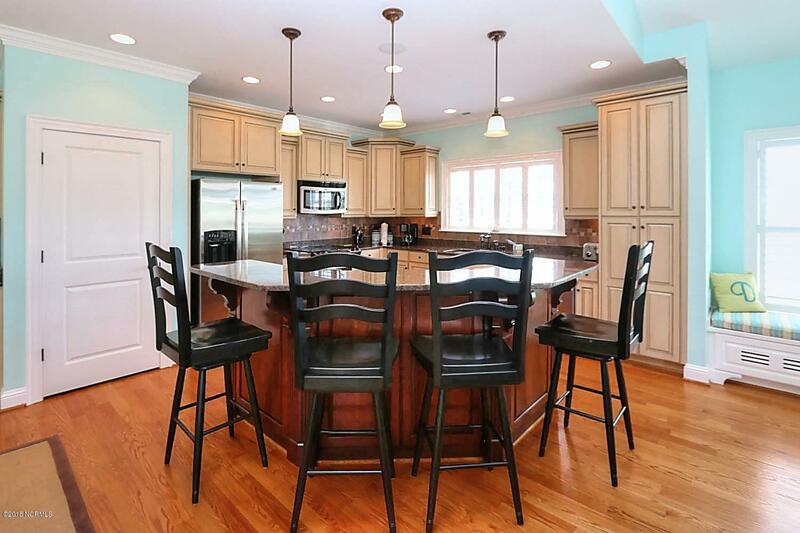 The kitchen features stainless steel appliances as well as a two-tiered granite topped island. 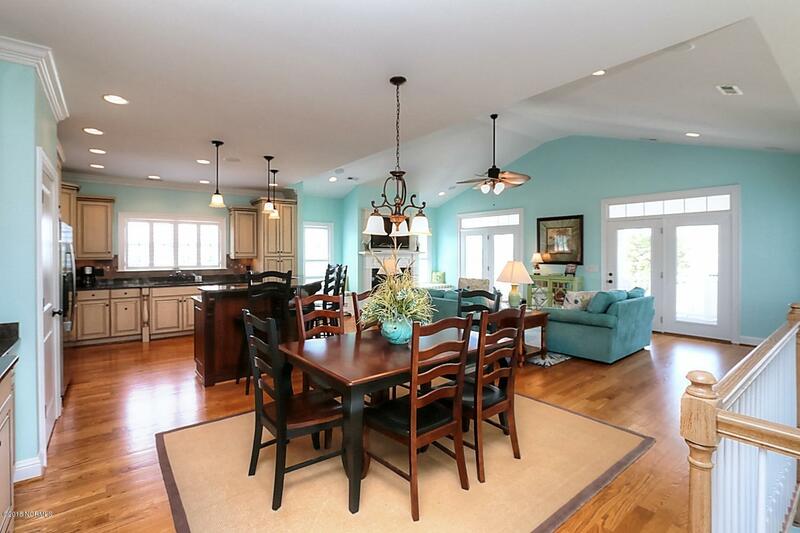 The kitchen flows into the dining area and living room. And just like on the second floor, this top level has a deck just off the living room, giving an even more magnificent and elevated view of the water and the surrounding area. 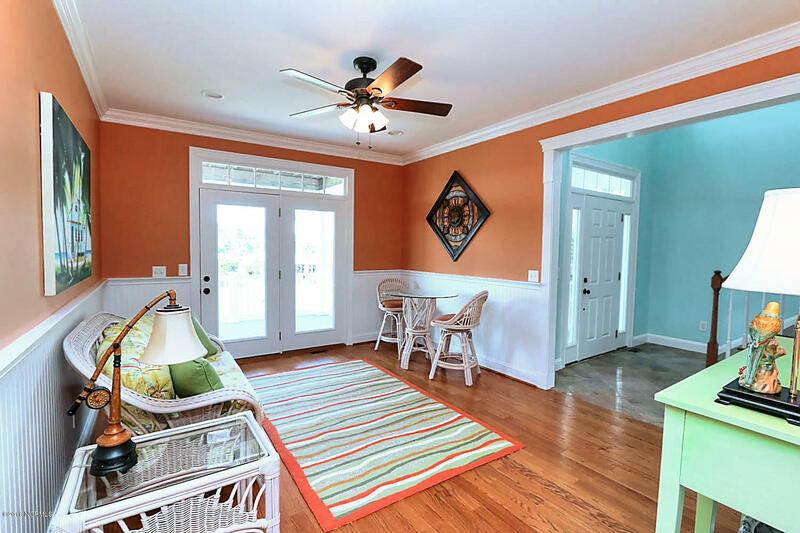 Space and natural light are most prevalent on this floor. 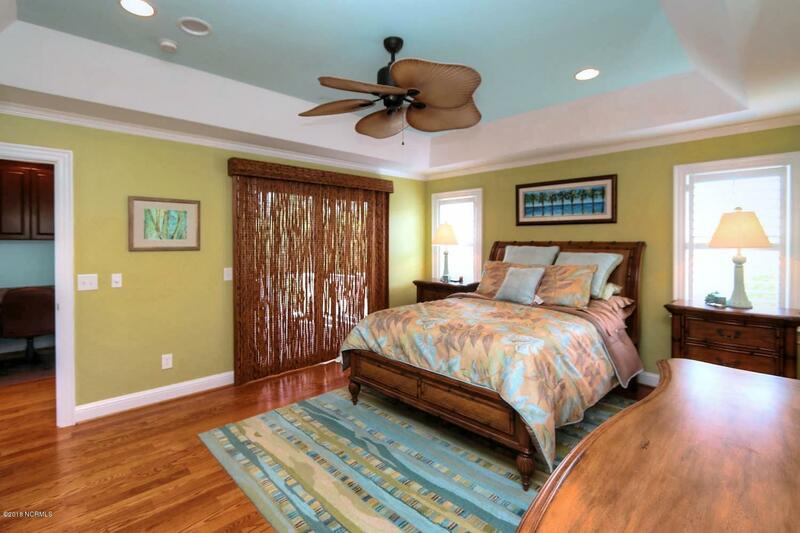 The third floor also has a master bedroom suite with tray ceilings. 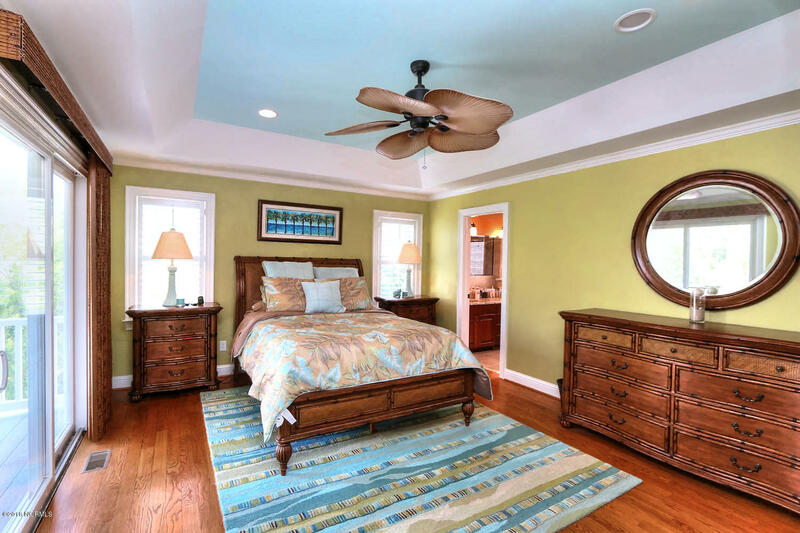 It is similar in design and layout as the second-floor master bedroom suite but with several style differences. 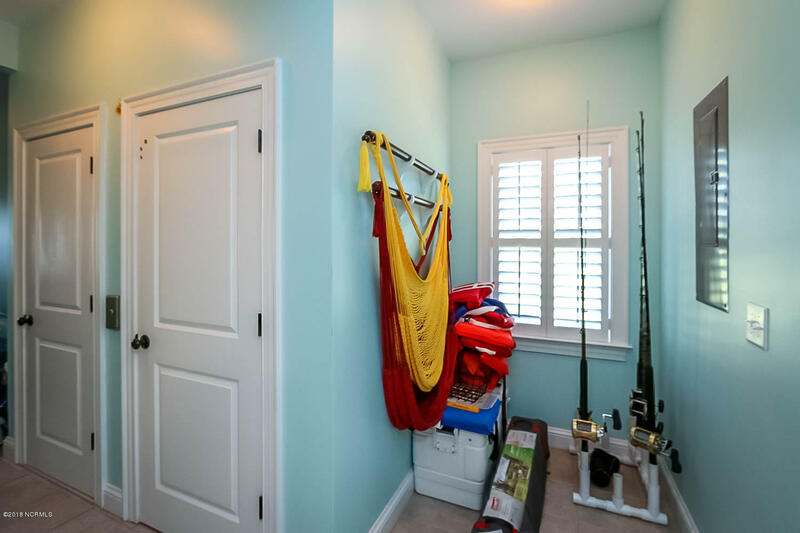 This master suite has a very large walk-in closet. 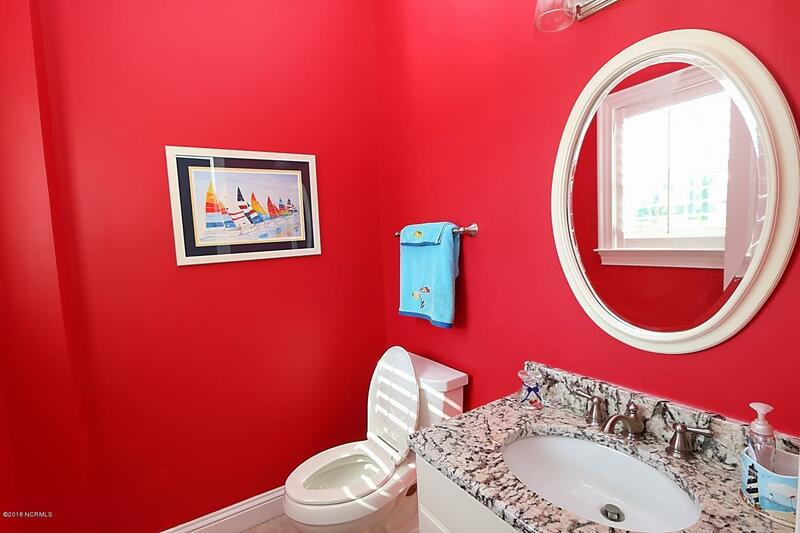 The bathroom is large with tiled floors, granite counter tops, shower, and separate soaking tub. The toilet area has a privacy wall. 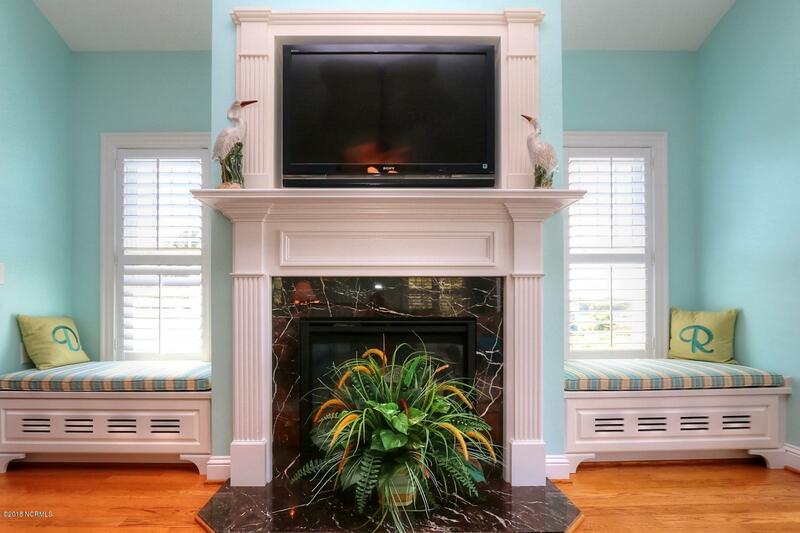 Another unique feature found only on this top floor is a gas log fireplace. All throughout the house at 105 Pintail Ln. are marble tile and ¾ inch nailed redwood floors. 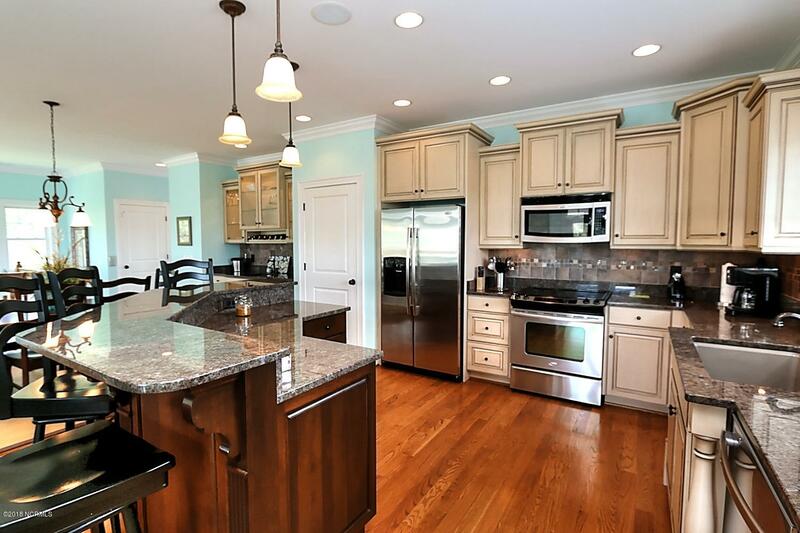 All countertops in the kitchen, kitchenette, bathrooms and laundry room are granite. 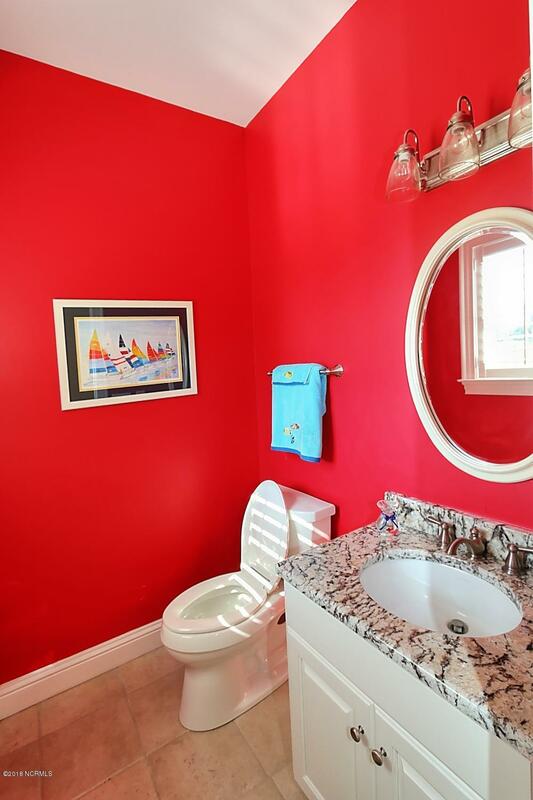 All bathrooms have tile. The roof has 50-year shingles, something not found in many homes. The exterior windows have plantation shutters. They are easy to operate and maintain. The home has a built-in audio system with speakers in every room and outside as well. Each room has separate control of the speakers, so no matter which room you are in, you can control the on, off and volume for that room. Every room also has a built-in mobile phone charging station. 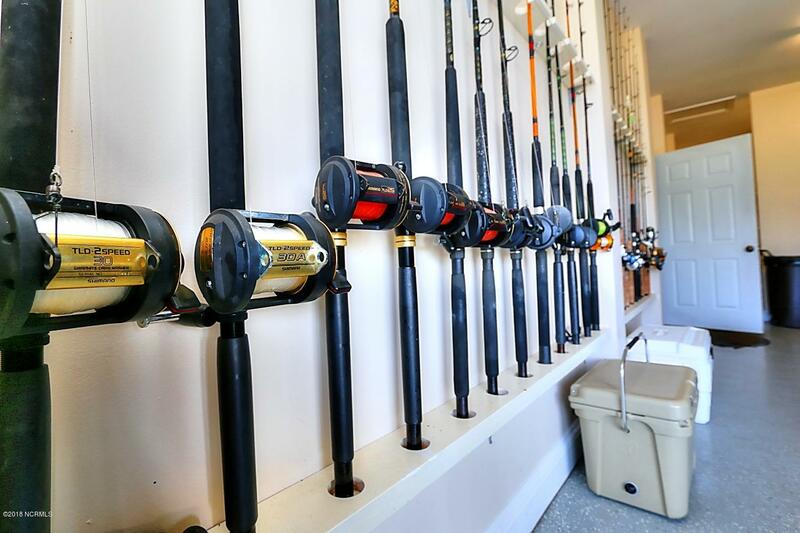 Inside the garage, you will find a custom built fishing rod holders, plenty of shelves and additional room for all your storage needs. 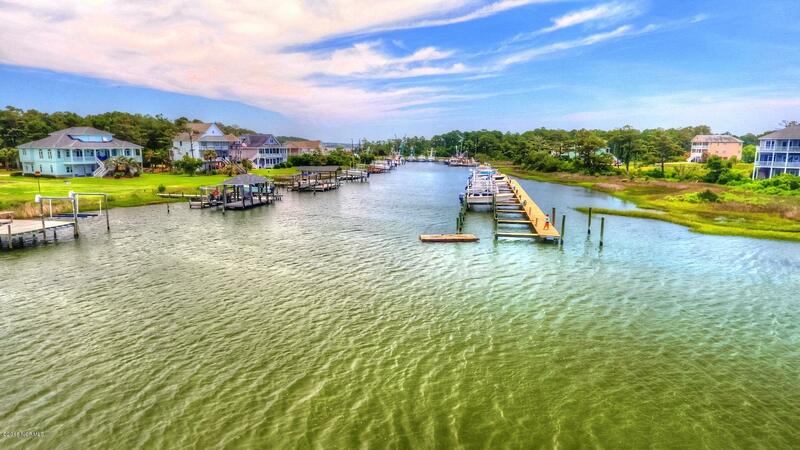 Although 105 Pintail Ln. 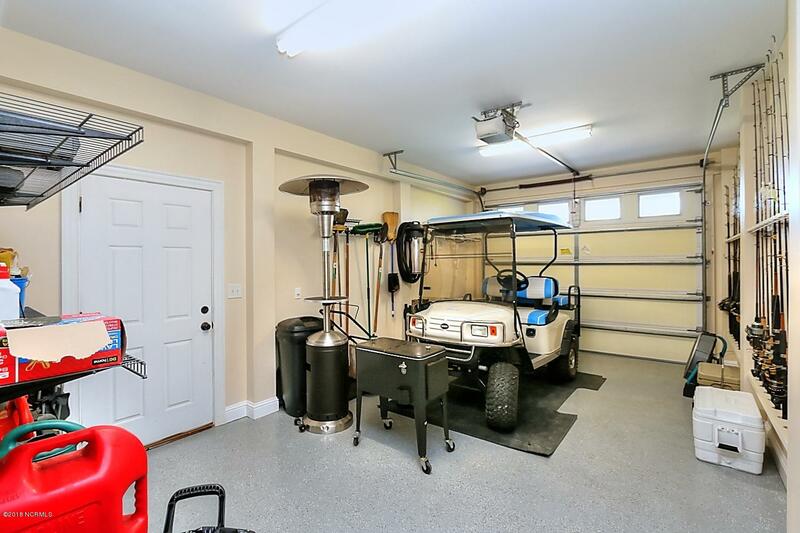 has 3720 heated square feet, the total square footage adds up to 5,200 if you include the garage and the decks. 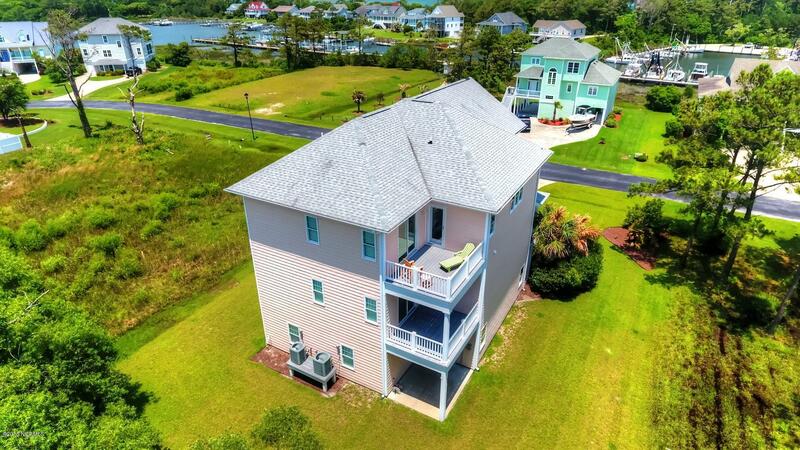 Price, location and the many amenities this home has to offer makes this a great opportunity for living a great coastal life. 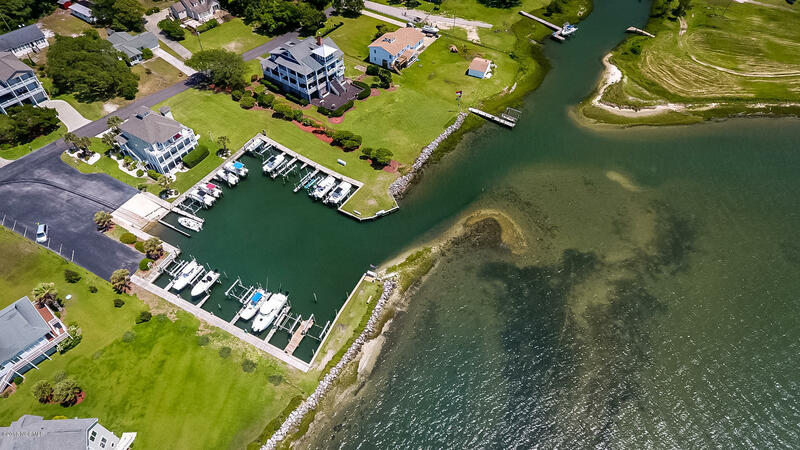 Contact Margaret Hitchcock with Hitchcock Realty today for more information or to arrange a personal tour. Margaret can be reached at (252) 648-0300. 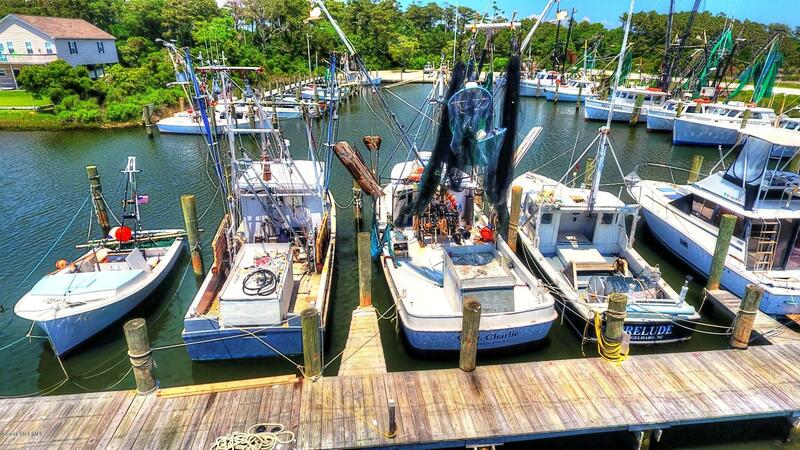 UNTOUCHED BY THE HURRICANE, HARKERS ISLAND FINEST IN THE PRESTIGIOUS HARKERS VILLAGE! 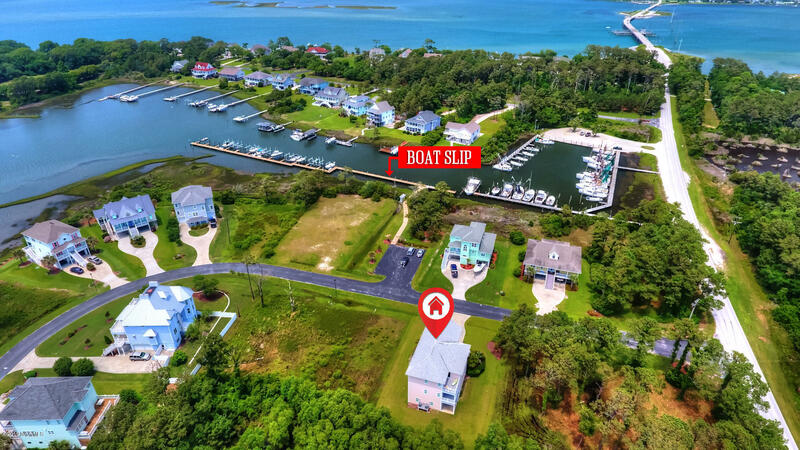 No pictures or descriptions can do justice to this fantastic 3 story home w/ water views and 30FT boat slip on 8+FT of water! 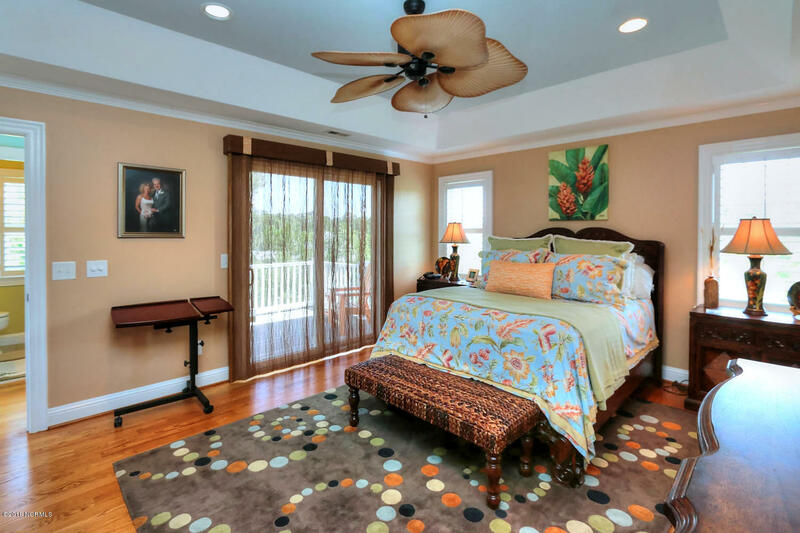 The owners thought of everything to make this home beautiful, comfortable & accommodating to all ages. It's of superior construction built with quality materials, unmatched craftsmanship & over 3700 sqft of elegance & comfort. 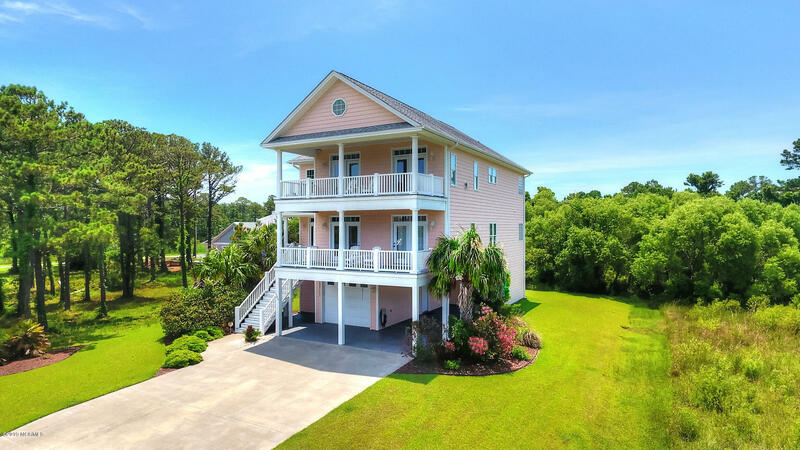 It features ELEVATOR, 2 MASTER SUITES, 2 guest bedrooms, 3 full & 2 half baths, huge entertainment room/studio w/kitchenette. 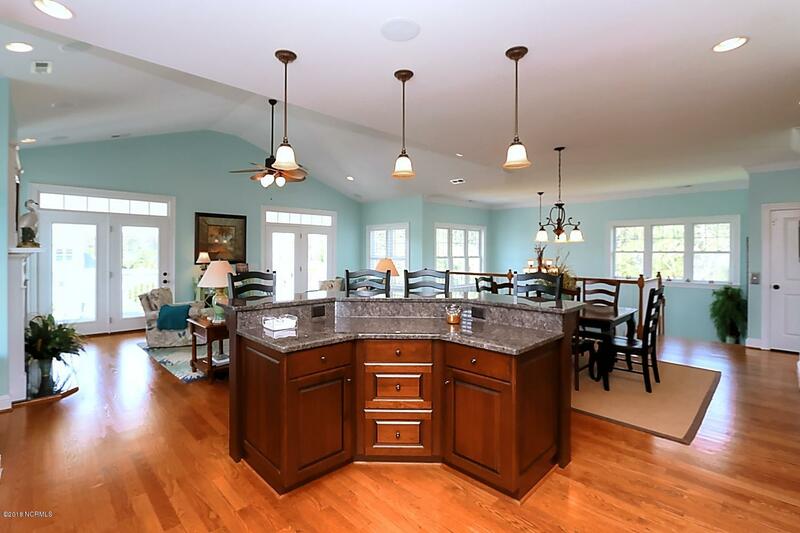 Family room, gourmet kitchen, living room w/ fireplace, lots of natural light, oak hardwood, marble & tile floors, titled walk-in showers, huge walk-in closets, surround sound system, huge porches, granite tops throughout & much more!